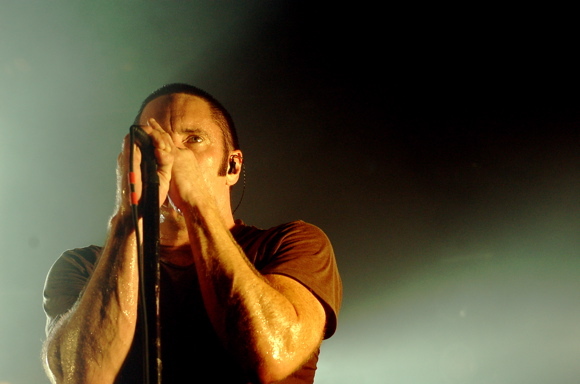 After a four year hiatus, Trent Reznor has resurrected Nine Inch Nails for 2013 with plans for summer and fall tours in the works, and well into 2014. As he previously stated that Nine Inch Nails was not over but just changing focus, he has brought in a newly revamped lineup which includes Reznor, bassist Eric Avery (Janes Addiction), guitarist Adrian Belew (King Crimson), programmer Josh Eustis (Telefon Tel Aviv), as well as previous contributors, keyboardist Alessandro Cortini and drummer Ilan Rubin. Avery had previously announced he was releasing a new solo album in 2013, LIFE.TIME, his first since 2007’s Help Wanted. But most recently he announced via Twitter that he would be releasing one new song a week via Bandcamp. He toured with Garbage in 2012, and also is taking part in Giraffe Tongue with guitarist Brent Hinds of Mastodon, guitarist Ben Weinman of Dillinger Escape Plan, and former Mars Volta drummer Jon Theodore. Eustis co-produced Puscifer’s Conditions of My Parole, along with Maynard James Keenan and Mat Mitchell, which came out October 18, 2011. Currently, Reznor is involved with How to destroy angels_, the project featuring his wife Mariqueen Maandig, along with collaborators Rob Sheridan and Atticus Ross. Their debut album Welcome oblivion is out March 5 via Columbia. The band will be doing a short run of dates across North America including the Coachella Festival.